Like many of his classmates in IIT-Kharagpur, Sanil Gupta had a dream of starting something of his own. After working in various companies for around four years, when he set out to realise his dream in 2016, he faced a problem that he had not planned for. “People give examples of Apple and Amazon and say the starting place doesn’t matter, but for me working from home was not an option,” said Gupta, who now works with a three-member team from the Pro-working Centre of Awfis at Golf Course in Gurugram. 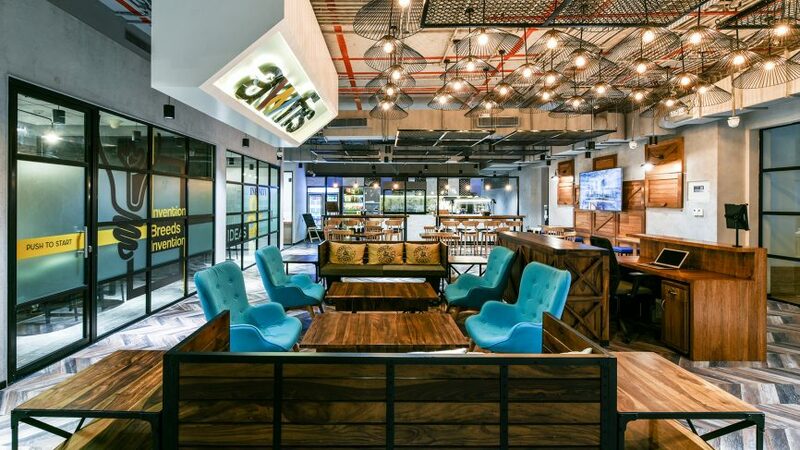 For Gupta and many other entrepreneurs, the growth of companies providing co-working space like Awfis has helped them realise their dreams as renting a commercial space at a key location in top cities in India usually did not fit in their budget. Also, the co-working space format has brought a healthy work culture while opening doors for collaboration. Founded by Amit Ramani in 2015, Awfis, recently raised $20 million in Series C funding from investors Sequoia India, InnoVen Capital and The Three Sisters: Institutional Office. The company says the investment will be used to expand its centres, launch new products and enhance existing technology platforms. In the past three years, the company claims to have leased 55 centres with over 25,000 seats in nine cities. According to Ashish Sharma, CEO of InnoVen Capital, Awfis has built a competitive advantage over others through a differential supply side acquisition model. Given several advantages of a shared workplace over a traditional office, the sector will likely witness robust growth in the coming years. The shared-office industry, which started with start-ups as its primary focus, is witnessing a positive change with many large companies and SMEs eyeing co-working spaces to set up their work centres. A recent study by real estate consulting firm Jones Lang LaSalle estimates that 13 million people in India will be working out from shared offices by 2020, and the industry will attract investments of up to $400 million by the end of this year. Property consultant CBRE also sees a bright future for the sector in India. 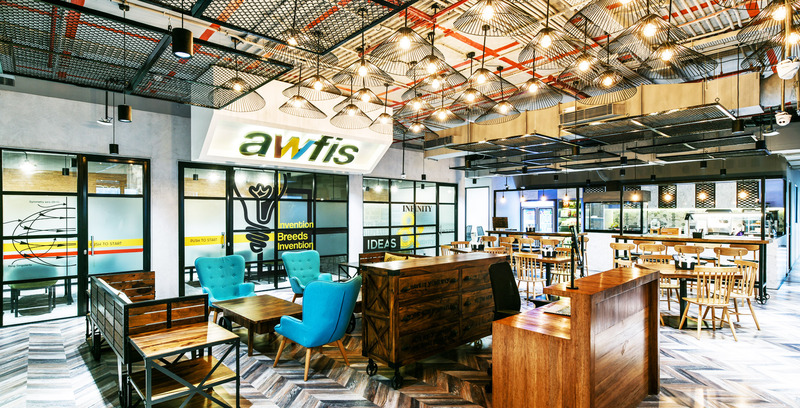 In a report released in 2017, the firm had stated that the co-working office space segment in India is expected spread over 10 million sq ft by 2020, with 2017 alone witnessing an absorption of nearly 1.5 million sq ft.
Awfis says it is making some profit for the past six months. It expects to achieve company-level profitability in September. Apart from rentals that form the major chunk of revenue, the start-up generates a significant amount through a range of mobility products. Generating revenues in the co-working industry, according to Awfis, is easier when compared to other industries. “Unlike other businesses with the higher cost of acquisition where the revenue starts flowing in from the 2nd or 3rd year, an Awfis product is such that we start making money within 3 weeks of customer occupying the space,” said Ramani. The company refused to divulge the revenue figures but said its revenue grew four times between April 2017 and April 2018. Seeing a huge potential in the sector, Awfis has set ambitious targets for the next year. The company aims to add more than 100 centres with over 40,000 seats in the next 12 months while foraying into cities like Chennai, Kochi, Indore and Ahmedabad. However, with the rising competition and fall in the number of new start-ups, any co-working start-up will find it tough to fill all its seats. At present, more than 200 co-working start-ups are operational in India. The space is currently dominated by the likes of WeWork, CoWrks, Awfis, 91springboard and Innov8. While Awfis claims to be the largest with total space of 1.5 million sq. ft., WeWork and CoWrks are among the fastest growing with properties of around 700,000 sq. ft.
“The current demand is a third of the total space they have taken up. They will struggle to fill the remaining space. Occupation will gather pace in the next three to five years,” Amit Goenka, chief executive and managing director at Nisus Financial Services, had told Business Standard about WeWork and CoWorks. Ramesh Nair Ramesh Nair, CEO & Country Head, JLL India : The shared workspace segment has grown exponentially in the past three years. Co-working spaces have already taken up close to 2 million sq. ft. of office space, surpassing the cumulative total absorption from 2017 in the first half of this year. The trend will continue for the rest of the year. Co-working space providers are conscious of the requirements of the new-work generation — futuristic spaces and homogeneous environment that facilitates networking and enhances work productivity. Awfis has been among the front-runners in bringing this new phase of change. We are confident that co-working spaces will transform the workspace landscape in India.